I’m heading home again next week. 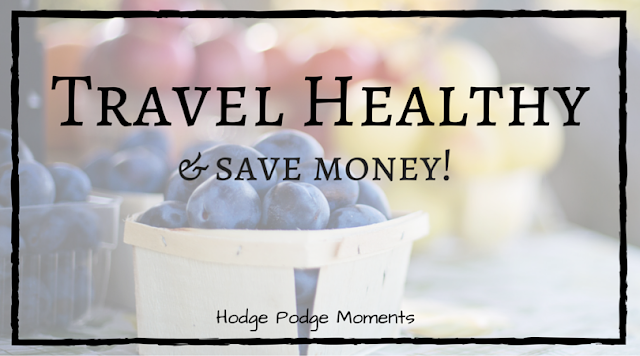 In honor of this, I thought I would compile some of the healthy tips I’ve learned from all of my travel. Some of these apply to planes while others apply to road trips. Plate for One is taking a short hiatus while I’m away but it’ll be back in mid-March with “28 Meals from One Week of Cooking” and many new recipes! I hope you enjoy some of the guest posts I have lined up for the next two weeks while I’m away! 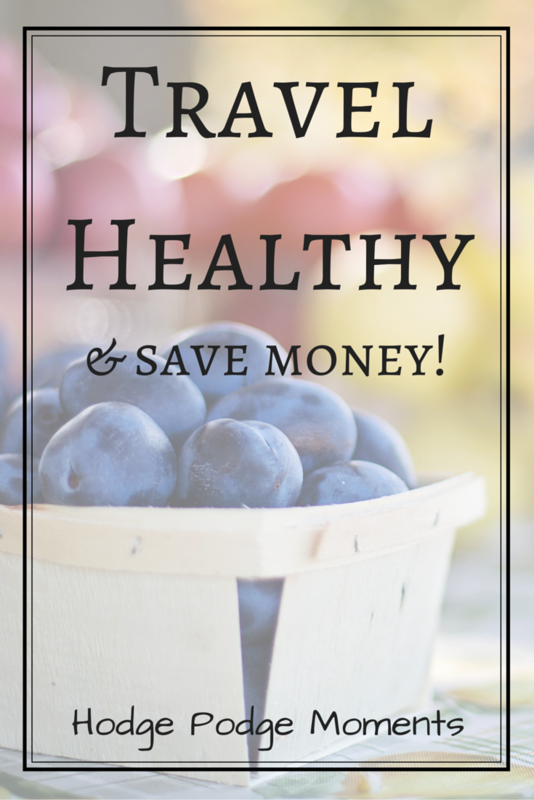 Until then, enjoy this compilation of healthy travel tips and share your own in the comments at the end! Travel can be very unhealthy and very expensive. With just a few tips, you can cut down on both of these factors and still enjoy your trip! Pack your snacks (and maybe even your meals) ahead of time. There are lots of things – fruits and veggies included – that travel well. I even recommend packing snacks for flights. It keeps you from buying overpriced airport food. Just don’t try to take yogurt on the plane – apparently it’s considered a liquid! (Yes, I learned this the hard way.) Find a cooler or lunchbox and fill it with healthy snack options. For flying, you can find a small one that will fit into your carry on. 2. Pack plenty of water. This one doesn’t work for flying but it’s a great tip for road trips! How often do you find yourself buying a drink at the gas station when you get gas? Plan ahead and pack a small cooler full of water. This will keep you on track with your water intake and is a cheaper alternative to gas station drinks. Youtube and Pinterest are filled with online workout options. Pinteret even has several printable options. You can print out a few ahead of time to help keep you on track or if you’re staying in a hotel with wifi, you can bring up a workout video. Some hotels also have fitness centers that you can take advantage of. After sitting all day, your body will appreciate the motion of working out! I also enjoy using Beachbody on Demand for online workouts. Let me know if you’d like more information about this program and how to get a free trial! There are many workouts that you can do at a rest stop. Take a walk, do some jumping jacks, or even incorporate some step exercises on a bench. All of these get the blood flowing in your body and help you burn calories. Your body will be excited about the movement. Are you going to be staying somewhere for a while? Look into the local gyms and see which ones offer free passes or classes. Take advantage of these passes to get your workout in. If you get away from your health goals a little, that’s okay. Don’t stress out over it – you can get back on track with your lifestyle when you get home. Remember, vacations are temporary! Take a little time and enjoy your vacation. What are your tips for staying on track with your health and budget goals when travelling?